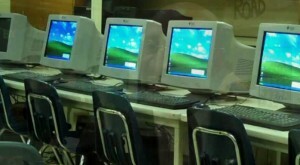 From Gilbert, Arizona, comes word of several hundred computers being sent to students in Ghana and India. Sheila Scanlan’s project in Landmark’s Self-Expression and Leadership Program became possible when she discovered that the computers at Highland High School were due to be replaced as part of a technology overhaul in the school district. Scanlan, who teaches at the school, teamed up with Osee Romeo Tcheupgoum, who works with an Arizona State University social action partnership, and who had made presentations in Scanlan’s class about his projects. As a result, plans have been made and approved by the school board for 341 desktop computers to be sent to where students at a new technical leadership training center can use them, and 126 laptops will be sent to an Indian community college. An Arizona State professor, Neal Lester, arranged for the purchase of the computers, and now the team is fundraising to come up with the $8,000 required to ship all the computers overseas. 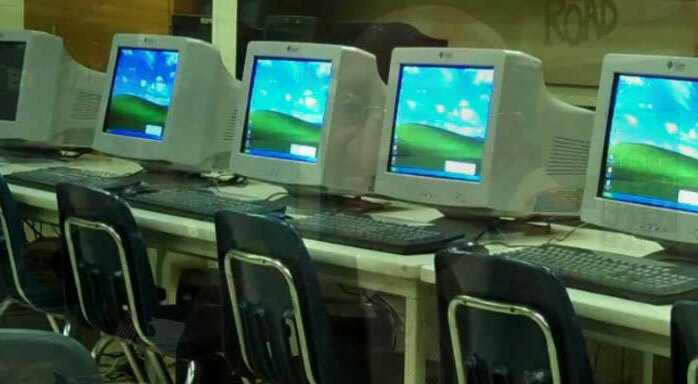 In the meantime, they hope to get other school districts interested in the project – computers are otherwise recycled for scrap when they are due to be replaced. Those interested in helping with the shipping costs can contact Marek Wosinski at 480-965-6253 or e-mail [email protected], and those who would like to donate laptops in working condition can contact Sheila Scanlan at [email protected] The complete story can be read at AZ Central. Sheila, your project and your accomplishment is inspiring! It is so gratifying to know that Landmark Education continues to train and develop global leaders who are making a difference. I live in Ghana and am President and Founder of Joy2theWorld. This was my project 5 years ago in Self-Expression & Leadership (I was a coach) and fulfilled my stand that who I am is a Global Leader & Commitment. I have since retired and now live in Ghana. I am interested in collaborating with you if you are interested. Thanks again Sheila for all that you are doing. Great story, good deeds so often go unnoticed… this is awesome. However, out of all the places in the world… for some reason India seems like the last place a shortage on computers would be. Well done though!